Stayed in a single room, was clean and very basic. Could literally hear everything around me, so thin walls. Felt safe there as a solo traveler. Great location! 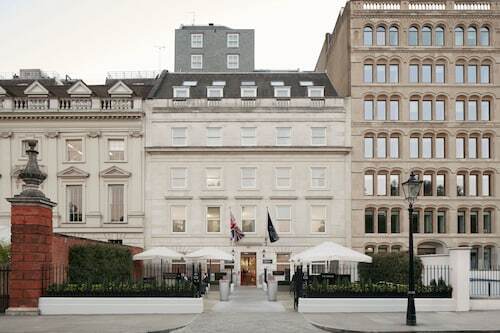 Very unique, boutique hotel property in the heart of Covent Garden! All the staff was kind, gracious, and helpful. This is a very unique space with artfully curated decor. The hotel also operates as a social club for creative types, so it is fairly lively. Really enjoyed this quaint hotel. Great location 5 minutes walk to underground and Covent Garden. Rooms are spacious and keenly priced. Would stay again. Near Trafalgar square, Westminster, Embankment and Charing Cross and a short walk away from theatreland, leicester Square and Covent Garden. Very comfortable, clean, modern, spacious, easy check in/out, very efficient staff, polite and friendly, brilliant location for West End and Covent Garden, all central attractions etc, five minutes walk from Waterloo over walkover bridge, access via underground easy, good value, minibar included in price a great touch, lovely breakfasts, relaxing environment generally. The location is just a few minutes walk from Tottenham Court Road tube station, a short walk to the shops of Oxford Street, very convenient for Shaftsbury Theatre, an easy 10 minute walk to Covent Garden and the theatre area, lots of bars and restaurants. The British Museum is minutes away but it is centrally located and within walking distance of many attractions, such as Soho and Covent Garden. excellent location for the west end an Covent garden - it was so quiet around that area its hard to believe you are in the centre of London.